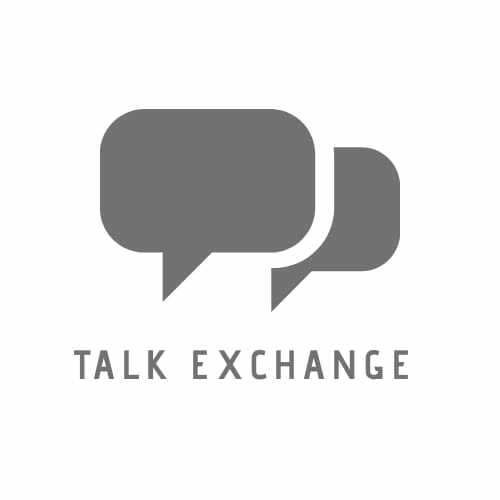 Today Or Tomorrow ; Choice Is Yours – Talk Exchange..! An open question was thrown to the public, what is it that really matters a lot to mankind? All sorts of intellectual answers came up… love, money, happiness, family, life, attention, fame, but unfortunately no one was able to hit the bull’s eye and the question remained unanswered. Actually, this question is worth thinking, what is it that matters the most to mankind? Well, it’s nothing other than NOW. It’s the moment that you have now, the person that you are with now, the work you are doing now is what really matters the most. Yes, it does. 80% of the people on this planet keep few things aside to be done later and regret their decision. Every passing moment is like flowing water, once the water has flowed away you cannot feel the same water again how much ever you try. Why to keep things aside to be done tomorrow when you don’t know if you will even see tomorrow. Tomorrow is created for visions and not procrastinations. Whatever you want to do, do it now. Do it right away. Don’t wait for tomorrow to come. Instead, live today as if there is no tomorrow. Tomorrow can give you many surprises which can either make you or destroy you. Giving up on today’s moments for making a better tomorrow is meaningless. Who knows, the tomorrow you are waiting for, might have different plans. You might lose the person you want forever tomorrow, you might lose that opportunity tomorrow, you might not even see tomorrow. Don’t kill today for the tomorrow you don’t know. Live today to your fullest to make the best yesterday. If you know you can do it then just do it, dot it now, right away. Get up, don’t wait. It is now that you can prove yourself. This is the time to show them what you are. Don’t let this time slip off your hands. Transform it to its best. This time, this moment was created for a purpose, prove that purpose. Don’t let a creation go waste. Live for today to write the best history. Now is the time to live. Now is like salt in food, you won’t realize its importance until you don’t have it anymore. Ask some young person on the death bed how important is it to live today because he knows he does not have tomorrow and all that he wanted to do tomorrow he can’t do it at all. What can hurt more than this? Maybe he had a meeting with someone special tomorrow, maybe it was his big day tomorrow, maybe he wasted today in planning tomorrow and at the end of the day he sees that there’s no tomorrow. What’s the use? Stop worrying about the forever things and start enjoying today, start living in the moment, enjoy now because Forevers are made up of nows. Hey.. Thank you very much..! Fantastic dear. Proud of you Nehu. When did you grow up Neha? Such mature thoughts!! I must compliment your language too. Good going girl!! Keep writing…..
Hey..! Thank you so much.. This really means a lot me..
well done Neha. clearly a positive thinker, a star writer has emerged on the horizon f philosophy and literature. Congratulations . Very well written Neha! Keep it up! Waiting for more. You’re having a very wonderful and mature thought process at a very early age Neha!!! So happy to see this great right up!!! Keep it up!!!! Good work, Neha !!! Many, many more to come … May God bless !!! Dear Neha, very nice blog ! You understand this too early! Many of us knows this at the age of 40! Good beta ! Keep it up!